Can You Ignore the Holidays? Every year during this time there is a huge sense of excitement everywhere you go. Togetherness and gift-giving are thrown in your face from ads in the subways and straight to your television. 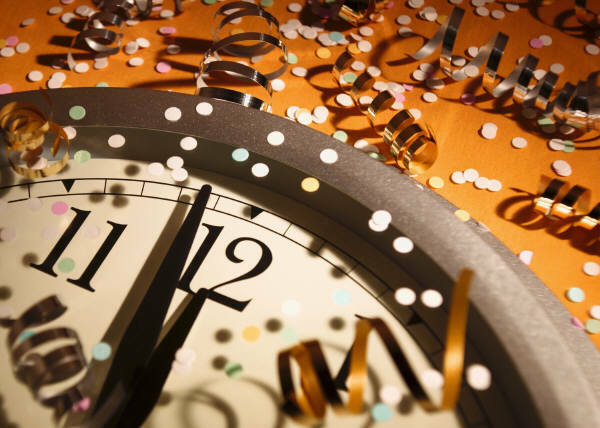 Gift-giving is followed by the momentous celebration that is New Year’s Eve. Growing up Jewish, I never totally got the whole Christmas spirit thing. I don’t remember any real feelings of jealousy. I mean, I got a free day off from school with no obligations to spend with anyone. I had already received 8 days worth of gifts, and now I had a full day just to play with my new toys. But I have often confronted New Year’s Eve planning with a level of disdain. It is such a huge night where literally the whole world counts down together. (I wonder if when the supposed end of the world on December 21, 2012 will also be met with a similar countdown). Each year, there is this feeling that you should end the year with a bang — do something big. Thousands of people spend hours waiting in Times Square and other huge gathering areas, or pay crazy prices to watch the clock. Some people take the easy way out and have people over locally — to me, that sounds like a great idea and I’ve been guilty of going that route. I have done everything I can to get away from New York — the only time of year I purposely run away from the home I love — because it just gets too crazy. This year, I will brave the craziness for a fun night out in the city, knowing that at least I won’t be on the road with a bunch of drunk drivers. But back to my original question — is there really a way to ignore the holidays all together? I imagine if you have big distractions, like a newborn child or something along those lines, you may forget about New Year’s for a brief moment. But the holidays are here to stay. There will always be a New Year’s and a Christmas, until the world really does end. So whether you use these holidays as excuses to let loose or a chance to remain low key, you can always do it differently next year. And hopefully, you are making unforgettable memories in a more organic way too — without planning, without the whole world literally rejoicing at the same time. Those are some really special moments. so funny because I’ve come to think in the last few years since I was a teenager just how stupid the hype around New Year’s Eve is. Once it’s over, it’s over! And having spent a few of them in the city (thank god not in Times Square yet it didn’t stop me from hating the traffic or the lack of train stops) I suppose somewhere out there, are plenty of people who disagree with me who love it.